Eight schools. Every student. One community. 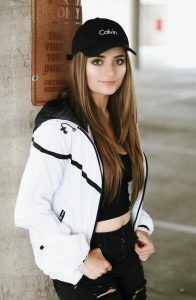 Join Hip Hop Sensation Kelly Sweeney for a fun and energetic class! Supervision is not provided before or after class. Class will be filled on a first come, first serve basis. SEF has the right to reschedule, cancel or move the class to another onsite location. Click the logo above to go to smile.amazon.com and choose the San Gabriel Educational Foundation as the non-profit you support. Save money AND help our students. SEF has teamed up with Goodshop to make it even easier to give. Click on the link to sign up at goodshop.com so you can shop, save money and donate at the same time! ©2016 San Gabriel Educational Foundation • Suite 119, 408 Junipero Serra Drive, San Gabriel, CA 91776 • 626-451-5465 / fax 626-451-5481 • info@SEFfor8schools.org • SEF is a 501(C)(3) non-profit organization and the primary fundraising partner of the San Gabriel Unified School District. Tax ID #95-4023144. All donations are fully tax-deductible under applicable Federal and California Tax Laws. Web design courtesy of Studio Grapheme.